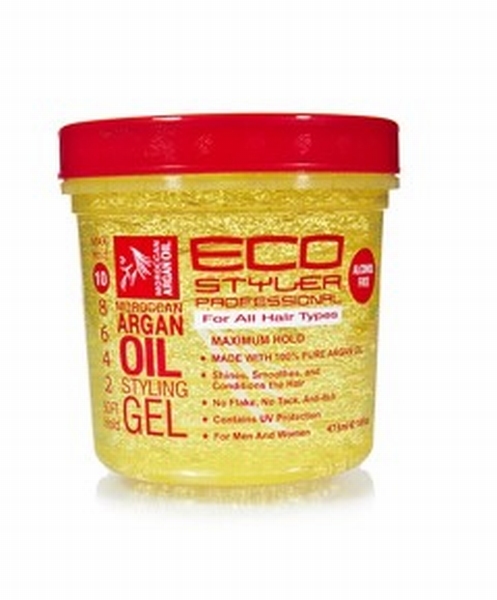 Eco Styler Moroccan Argan Oil Styling Gel is for all hair types. Used by professionals and is alcohol free. Made with hundred percent pure argan oil for maximum hold.